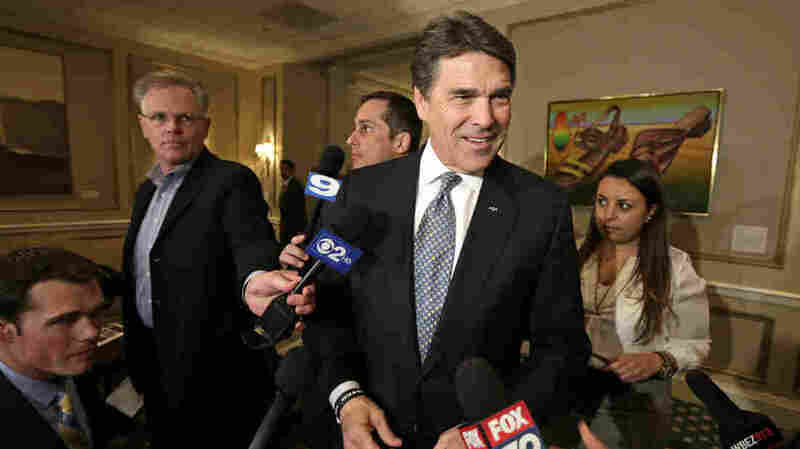 Rick Perry's War On The Blue States : It's All Politics Gov. Rick Perry, a red state conservative, is sticking it to blue states by trying to persuade their businesses to move to Texas. "Texas is calling," part of Gov. Rick Perry's campaign to lure businesses.